During our 2nd trip to Mt. Kitanglad, this bird was mixed up with the Mountain White Eyes. 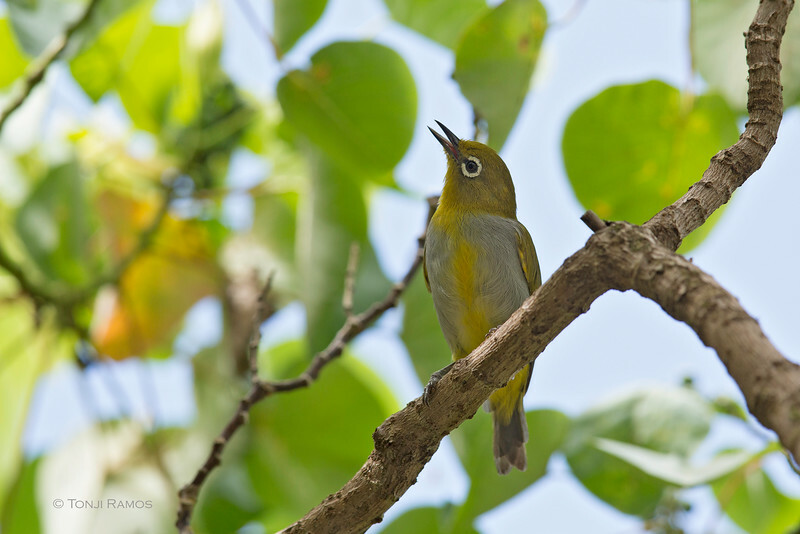 However, we couldn't really say for sure that we were able to differentiate it from the other type of White-eyes. We were with Nicky again in Bislig and he said that all of the white eyes there were Everett's White-eyes. The belly of the Everett's is grey-white compared to the Mountain White-eye which has a white belly. It is a common resident found in lowland forest and measures 4 1/2 inches.